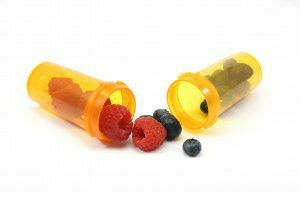 These days, we hear a lot about antioxidants – in the media, and from our doctors and nutritionists. We know they’re important. 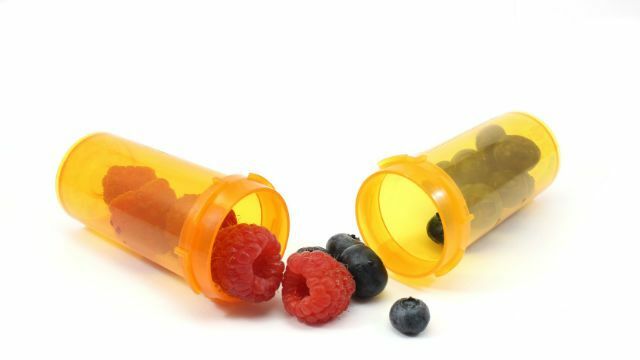 However, there is less information out there about why exactly antioxidants are important, and how they actually benefit us. Antioxidants are compounds which exist within foods and other natural sources, such as vitamins, minerals and essential oils. Just a few examples are vitamin C, vitamin E, flavonoids, including anthocyanins, bioflavonoids and carotenoids, including beta-carotene (which converts to vitamin A in the body) and lutein. These compounds are key to the prevention of oxidation throughout all of the body’s systems. This occurs when oxygen molecules are added to other compounds in the body and produce free radicals, which can raise bad cholesterol levels, damage blood cells and potentially lead to heart disease. Free radicals are implicated in a host of chronic diseases. As our bodies constantly produce free radicals, they need to be counteracted. The role of antioxidants is to absorb the excess oxygen, which lowers the body’s production of free radicals. This is key to the health of all of the body’s systems, and the prevention of many illnesses. The circulatory system is key in the body’s use of antioxidants. Our blood is responsible for transporting nutrients and oxygen around the body so that they can be used. With healthy blood, all parts of the body are nourished and can operate as they should. However, if blood is in ill health, it can affect everything else. For example, the immune system cannot function at top performance if blood health is compromised. Additionally, a decrease in red blood cell count can leave you feeling completely zapped of energy. A diet rich in antioxidants is the ticket to the best blood quality you can get. Along with preventing free radical damage to blood, antioxidants have been shown to help prevent the blood clotting that can lead to heart attack and stroke, and have also been linked to a reduced risk of cancer and many other chronic illnesses, especially those with inflammation at their key, such as lupus and rheumatoid arthritis. Antioxidants are to be found in a wealth of different foods, particularly fresh fruits and vegetables, legumes, nuts, seeds and herbs. They also exist in meat and dairy products, and in grains. Some of the best food sources of antioxidants are dark, leafy greens, berries, tomatoes, citrus fruits, beets, sweet potatoes and apples – but this is just a sampling of hundreds. As far as herbs, oregano was recently found to have 42 times as many antioxidants as apples. Also, don’t miss bee pollen when it comes to antioxidant nourishment – if you haven’t tried it yet, give it a chance! Hey Buddy!, I found this information for you: "Why Antioxidants are So Important to Our Blood". Here is the website link: https://www.thealternativedaily.com/antioxidants-important-blood/. Thank you.